Aah! That tiny pricks on the furry cat almost leave us heart-broken. Looking at the once an energetic kitty, now trembling in the corner gives us chills and an unforgettable sight. Anyways, getting a flea collar to control the deposition of parasites on the cats’ body is better than many pest control lotions/shampoos. In fact, the Seresto cat collar is the product we have reviewed here. The Seresto flea control cat collar from Bayer Animal Health is nothing less than a premium solution to the flea problem. In fact, using this collar as simple as putting a normal collar to the cat’s neck. Apart from that, the flea control collar will take care of everything for the next 8 months. On the other hand, there are many factors that you need to consider before buying such a collar. Hence, read further and find the detailed answer to buying queries and also appropriate guidance. 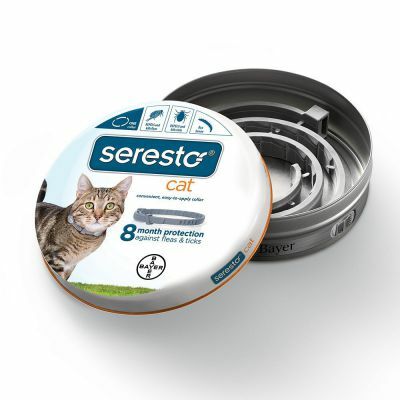 The Seresto cat collar is one the most reliable and long lasting option for keeping the fleas away from the cats. On an average, a Seresto will last for 8 months long. Generally, people use this method i.e. flea control collar because it is affordable as well as easy to use. Furthermore, the apparent collar has an utmost stretch capacity. It will help the feline member to stay from tangling on to some random obstacles. 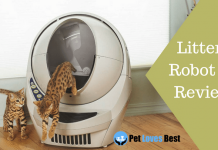 Also, it will hardly create deep scars on the cat’s neck as many other collars might do. All the flea control collars are made of either of one material from the total four. Those four materials are Deltamethrin, Pyriproxifen, Amitraz, or Propoxur. Adding to the fact, all of these materials have different effects and functioning. 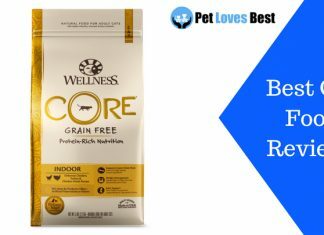 Having said that, there are two ways all these types of flea control collar act i.e. as a repellent, or as treating bugs. The repellent will pass the gas as working medium and drive away the bugs. On the other hand, the treatment collar will diffuse the active repellent elements. It will pass the working element into the layer of fat and some part of the skin. 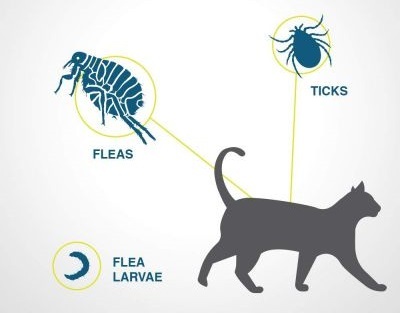 Cats are prone to attracting small bugs on their bodies especially ticks and fleas. Adding to the fact, fleas are majorly responsible for developing serious diseases in cats. The list of flea-borne diseases includes typhus, tapeworm, Bartonellosis, etc. Apart from that, these diseases i.e. Rickettsia felis, Acanthocheilonemal reconditum, and Dipetalonema can also occur. However, the Seresto Cat Collar will take care of the fleas. It will directly eliminate possibilities of developing diseases. Not to mention, a collar which can last for as long as 8 months and keep the kitty free from bugs. To bathe the cat becomes very difficult if his long-list of dislikes include bathing. Things get pretty worse when your feline companion carries even a single parasitic bug on him. Because that bug i.e. flea will lay eggs on the skin, after which numerous such bloodsuckers start dwelling on the cat. 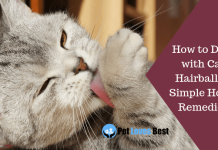 Here is the list of bugs which easily adapt on the cats or become parasites to cat hosts i.e. Fleas, Lice, Mites, Tics. Furthermore, the Seresto cat collar will not only keep the fleas and ticks away but also drive out the existing ones too. To sum up all the positives of the Seresto cat collar, this section describes the good features of the collar. The apparent cat collar is one of the most reliable and long lasting. The Bayer Animal Health has made this collar which will last for 8 long months. None of the rivals come close to the long lasting and reliable quality. 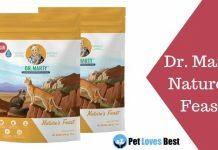 The makers have used the active ingredients which effectively drives fleas and ticks off is imidacloprid and flumethrin. The collar diffuses these substances from its matrix to the cat’s body without the collar’s surface getting any of it. Imidacloprid is an excellent repellent for fleas, it can kill and of course, repel the fleas. Similarly, the flumethrin does the same with ticks. Seresto Cat Collar has a great two-way opening mechanism. Firstly, the collar will open up upon some application of force. In case, if the cat makes a critical angle for the collar to sweep open then the belt will tear off. Hence, the fail-safe kind of collar works great for notorious cats. The Seresto cat collar has some demerits, it will not be suitable for every cat. Moreover, the cats can show an allergic reaction after you put this collar. 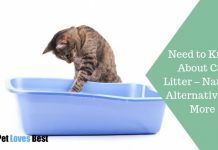 The reason behind it includes either cat is allergic to flumethrin or imidacloprid or the material of collar does not suit the cat. Apart from that, there are no other demerits. This collar works just fine for most of the cats and kittens. 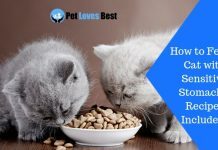 This section will help you to decide the flea control collar for the cat. Go through the list of factors which constitute in making the product worth as well as reliable and safe. The energetic cats act stupid at an instance, maybe smart at another. Also, scare you trying to hunt your leg, and even get panic looking at its own shadow. Similar to the shadow note, cats will panic if their collar gets stuck into something. At first, the cat will try to disentangle the collar with a subtle motion. However, eventually, the cat will go nuts if he is not able to tear open the collar. Further, many feline owners or parents have shared their bits of experience and advised other to use the stretchable collar. Because in the state of panic, most cats will injure themselves quickly than wait for someone to help them. Hence, in this section too, the Seresto cat collar has done a great job. The collar is smooth, soft which is desirable. In addition to that, it comes with an instant-release mechanism. 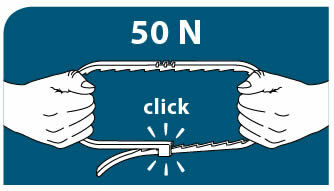 The instant-release mechanism proves to be a lifesaver provision at the times of emergency. The Seresto cat collar itself will cut loose upon application of some force. In this case, the open mechanism works better than the stretchable ones. Because the panicking cat due to tangled collar will be free when the collar gets off his neck. On the other hand, the stretchable collar will keep the cat panicking until someone arrives to help. Hence, the Seresto collar will not only keep the cat from panicking but also won’t leave any scars on the neck. Getting a collar made of the soft and smooth material is as important as feeding a healthy diet. Because cats often suffer from the collar more than that of torture from bugs. Many cat parents have tried using a collar made of tough fabrics or materials. However, most of those parents never tried that idea again when they noticed scars on their pets’ necks. Further, cats are notorious with pawing and often scratch their necks using the hind legs. In that case, a loose collar can easily tangle with the cat’s leg. In fact, it can rip the soft skin portion of their hind legs of the material of the collar is rough. Choose the collar according to the size of your cat. Moreover, the collars provide enough length of the collar which fit the adult, kitten, skinny, or fat cats. Yet, this section describes the method of using the collar. You can choose any collar of the suitable type or make for your cat as far as the cat does well with it. Just make sure you do not tie the collar very tight or lose on the neck. Because the tight collar will leave develop skin irritation, scars, infection, hinderance for fool/windpipe. Also, do not tie the collar so loose that the cat can even lick the collar. Not to mention, pawing the loose collar with hind legs will lead to ripping off of the soft skin. Getting a piece of advice from an expert is way different than receiving it from a vet. You can consult a vet in case you find your cat to be allergic to the Seresto cat collar. 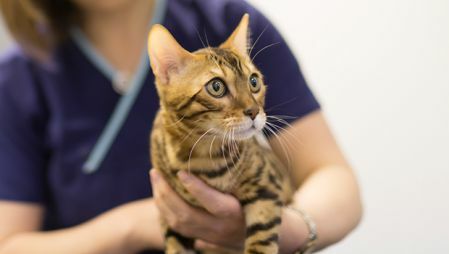 There can be a few substances which trigger an allergy in your cat. For example, the ingredients of the flea control collar, or maybe the bacterial development due to a tight collar. On the contrary, getting a collar will not be hazardous for the cat if you test if for a week. However, you shall immediately remove the collar if you find any adverse outcomes. To say the least, get a Seresto Cat Collar to keep the bugs away from your cat. Apparent cat collar does not severely harm to cats even upon ingestion of the collar. However, consulting a vet in case of allergic reactions is advisable. 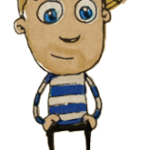 Leave comments if you have any queries and remember, never tie a collar tightly. 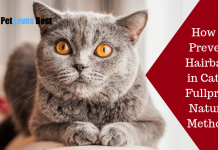 Previous articleDifferent Ways of How a Cat Shows Affection – Secret Kitty Language!